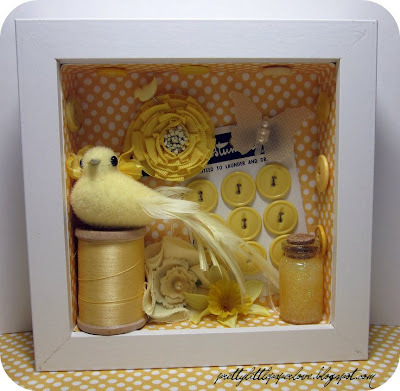 I picked up this fabulous 6.5" x 6.5" shadowbox at Ikea & have had it to the side trying to figure out what I wanted to do with it. Well I decided to make a little monochromatic box of happiness & yellow! Now I want to go get more & make other colors to go with it!! I hope every one is having a great weekend, I've got to work tomorrow, blah! Be sure to check back here on Wednesday & join in on The Paper Variety blog hop!! And I'll be having a 100 follower Blog Candy real soon, I'm only 1 follower away!! 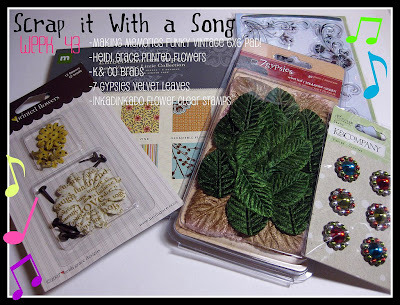 The Paper Variety - Sew Much Fun!! 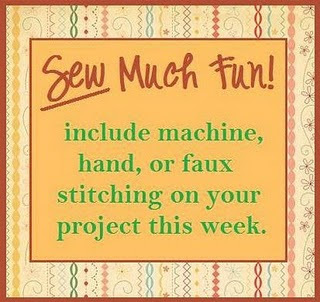 This week's challenge over at The Paper Variety is "Sew Much Fun!" 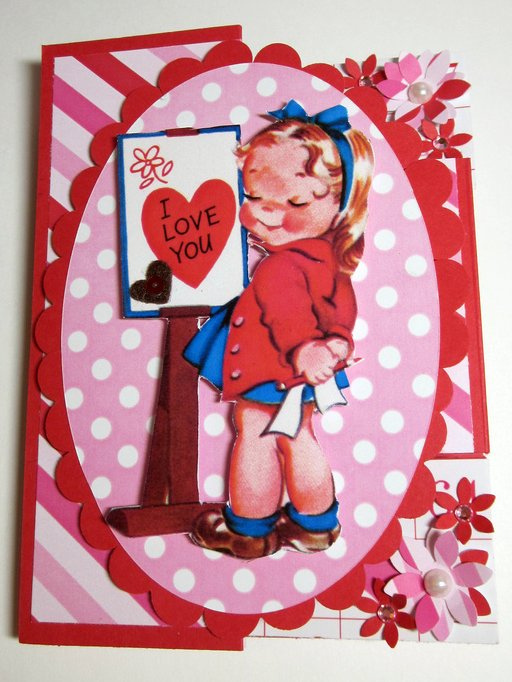 You have to incorporate some form of stitching into your project, by hand or machine, with thread or your pen! 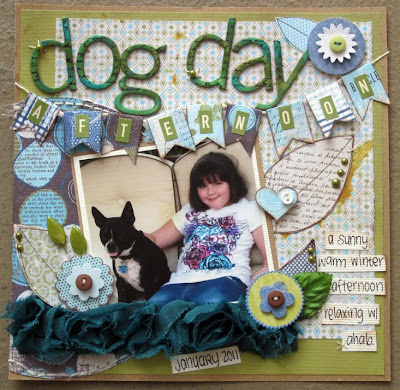 I created this layout with Little Yellow Bicycle's newest line called "Twig" which I totally fell in love with even if it is blue, I don't get to play with "Boy" colors often. So get busy & create your projects! You will be playing for a chance to win this amazing prize that Abby is offering up for this week's winner! It's perfect for the challenge! And it's October Afternoon, who doesn't love October Afternoon?? This week's challenge over at The Paper Variety is this really cute & simple card sketch! I'm totally loving it. I made a few, and I'm not a card person, but they all came out cute! I chose to go monochromatic and stick with all yellow :D It's so bright and cheery! 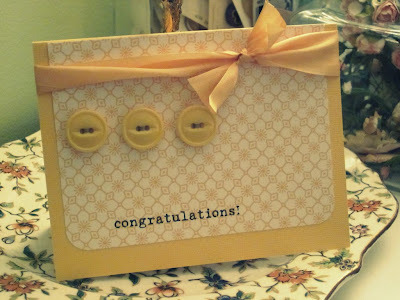 The paper is OA, vintage buttons & silk ribbon. You still have time to join in, so get busy!!!! Seeing my "wonderful" husband neglected to get me anything for V-day I took it upon myself to purchase my gift "just incase"... men! I got so many new goodies to play with! I got one of the new 7 gypsies atc drawers I'm super excited to play with. I also got a maya road mini canvas/chipboard album that has these awesome canvas pockets! The the new little yellow bicycle TWIG paper & super cute embelies. 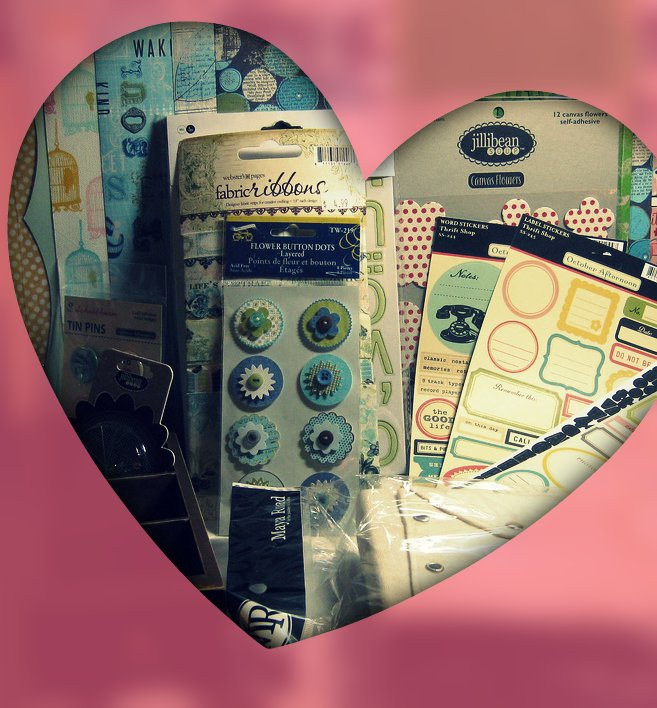 Then some OA stickers, Jillibean Soup pretties and more!!! 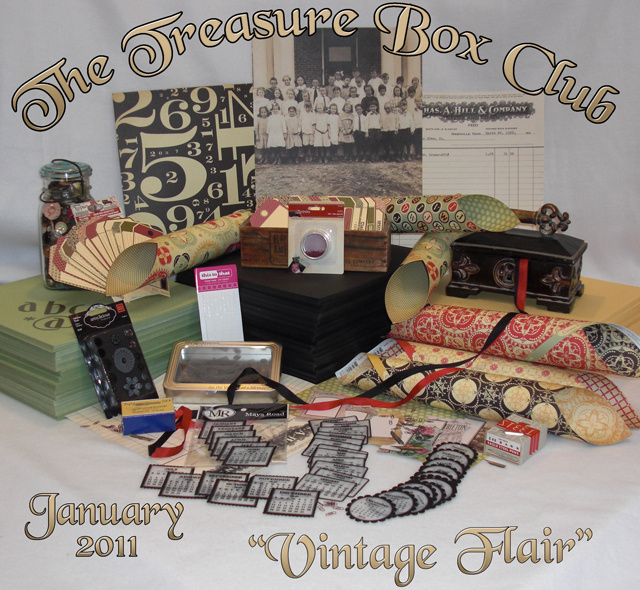 Thanks Tammy @ the Paper Niche for a super fantastic deal on the 2010 products!! I have been asked to join the Scrap it With a Song Design Team! Yay! I'm on the Pop Gals & have song 2 of the playlist! The are offering up a biweekly challenge featuring 2 songs, you can enter a project for each song & double your chances of winning! Here is the prize up for grabs! 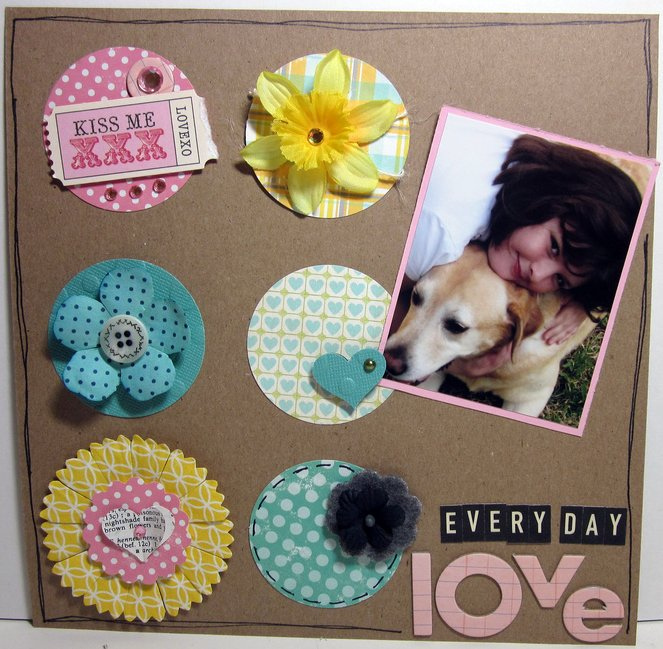 I created this fun & simple layout to the song "This Everyday Love" by Rascal Flatts! I'm totally digging the song & had it in my head the whole night I was working on the layout! 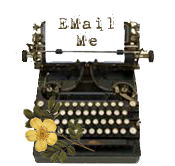 So head on over to Scrap it With a Song, Listen to the Lyrics & GET INSPIRED!!! 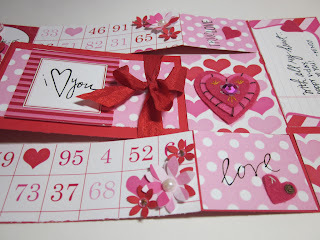 Pretty Little Valentine's for My Hubby! 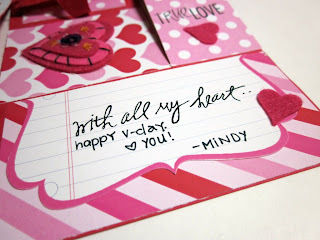 I made this card for my hubby tonight! 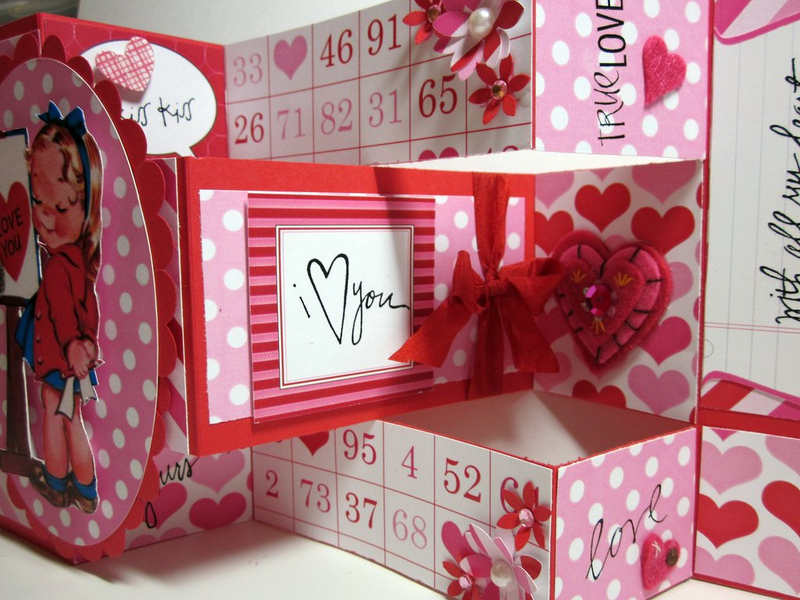 There is nothing like a handmade Valentine's Day card! 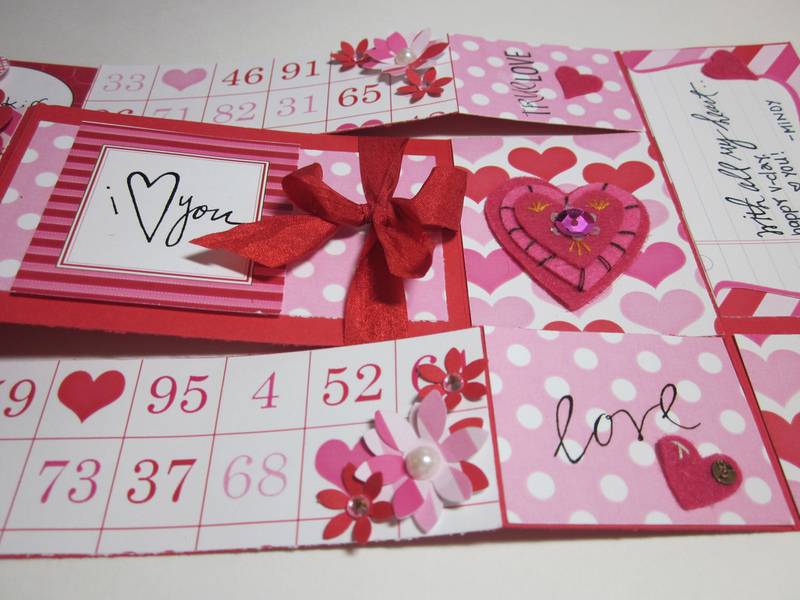 I used my Pretty Little Studio Love Notes collection. 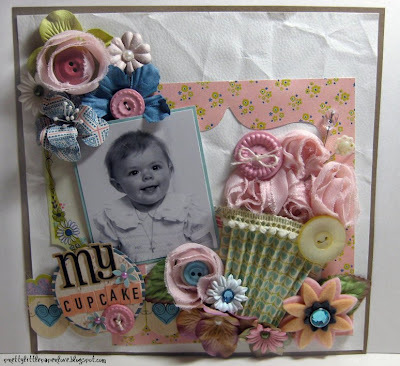 The Paper Variety CUPCAKE Week!! This week's challenge over at The Paper Variety is to include a cupcake in your project! I've been out of town for the past week, my mom was in ICU & we almost lost her! But before I left I created my layout! The cupcake frosting I created with bloomers and just random flowers that mixed in well. Of course it's sassafrasslass indie girl papers! This layout looks amazing in person, the picture just doesn't capture the full beauty! I'm so glad to be back home! 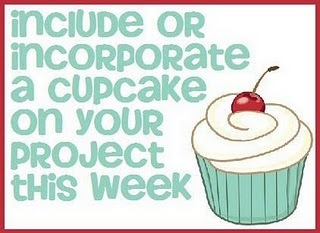 So let's get busy with your cupcakes!!! Oh and I guess I should mention the AWESOME prize this week! I won one of these amazing kits before and let me tell you... GO MAKE YOUR PROJECT! You will love this prize! Tracy over at The Treasure Box Club ROCKS!